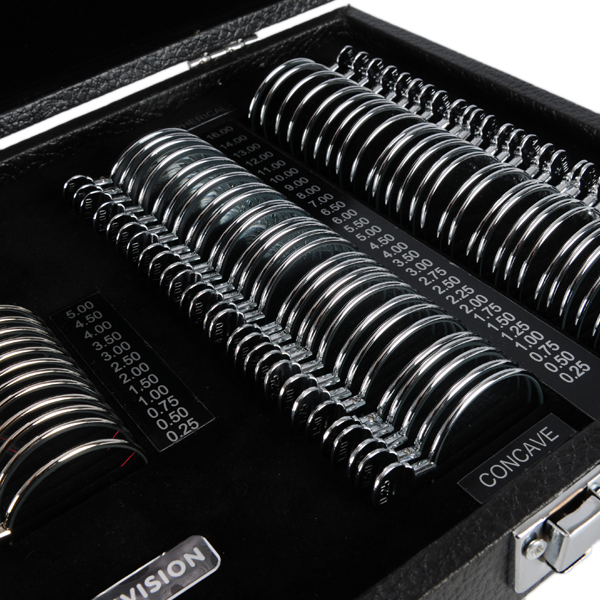 Kit contains 56 spherical lenses and 12 plus cylinders. 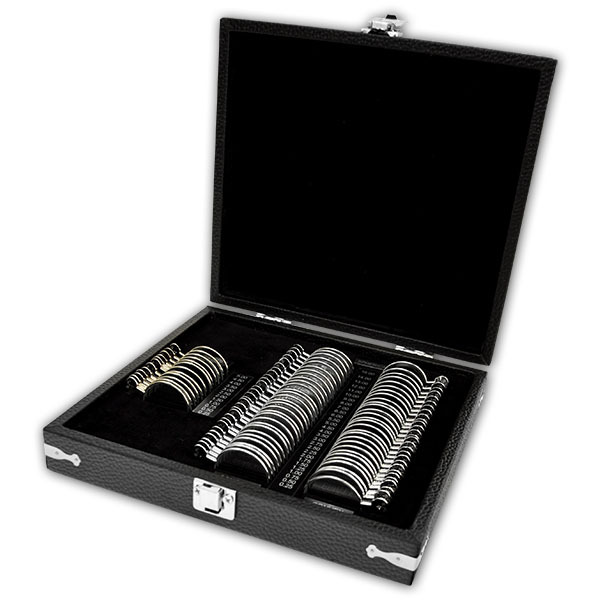 Each glass lens is encased in a metal ring and stored in a leatherette case. Includes both concave (-) and convex (+) spherical lenses. 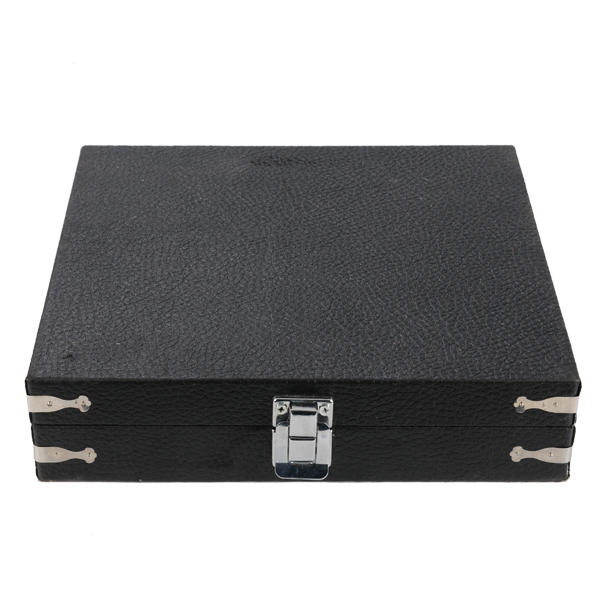 Lens powers include ± 0.25D to ± 16.00D. Cylinder powers range from +0.25D to +5.00D. 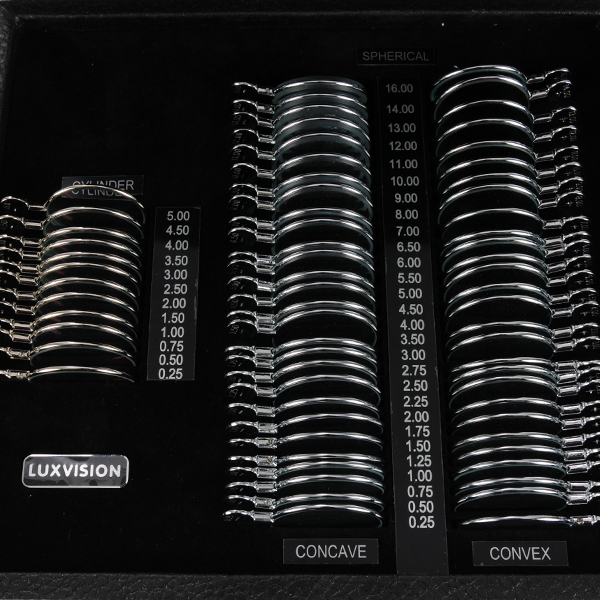 Manufactured by Luxvision. Comes as singles.